Don't let the cold, dry temps take a toll on your face and body. 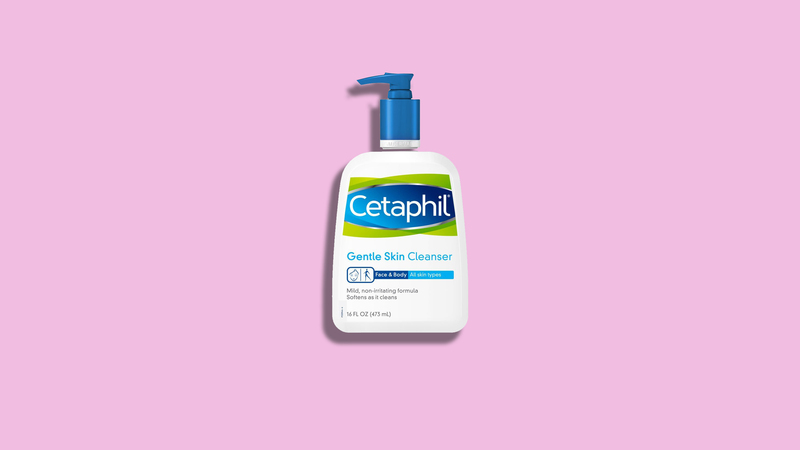 From gentle cleansers to the richest moisturizers, here's what really works. Dry winter skin, be gone! Below-zero temps outside and dry indoor heat can do a number on your complexion. 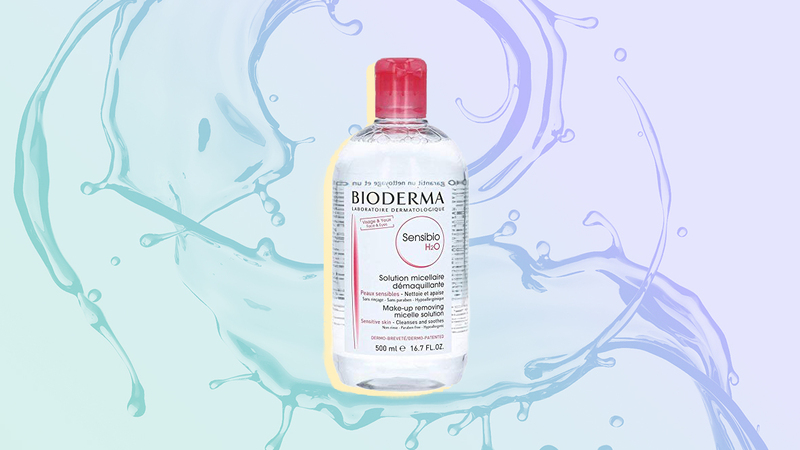 The good news: we have the smart strategies to help you defeat dry, flaky skin once and for all. From how to correctly apply skincare products (think: choosing the hardest-working formulas and knowing the right way to layer them on) to the best hydrating cleansers (believe it or not, the foaming ones aren't always good for skin) to helpful exfoliation tips (say "yes" to gentle fruit enzymes and "no" to harsh fruit pits), here are the best winter skincare tips from the pros to help you achieve a healthy, smooth, radiant complexion all season long. Feeling extra tight and flaky? Blame your foaming face wash. That's right: The more a cleanser lathers, the harsher and more drying it's likely to be. Creamy, soap-free formulas, such as a cleansing balm like IT Cosmetics Bye Bye Makeup 3-in-1 Makeup Melting Cleansing Balm ($38; amazon.com), are a good choice. Cleansing balms dissolve dirt and debris while leaving natural oils behind, says Whitney Bowe, MD, a dermatologist in New York City. If your skin is dry or sensitive, just splash your face with water. The skin repairs itself with natural oils and lipids; any cleanser—no matter how mild—can wash those moisture boosters away. As long as you cleansed your face thoroughly the night before, there's no real need to wash when you wake up, says Elizabeth Tanzi, MD, a dermatologist in Washington, D.C. Depending on the condition that's causing your joint pain, heat or cold treatments may help alleviate symptoms. For sore joints, try a heating pad, a hot soak in the tub, or a steamy shower. These are inexpensive but effective ways to relax muscles, and they can be particularly helpful for conditions that present "morning stiffness" of the joints, such as psoriatic arthritis and rheumatoid arthritis. An ice pack or cold bath may also help ease joint pain for some patients, since cold temperatures reduces swelling and dulls acute pain. Most people wash their body all over, but it's not necessary more than a few times a week. "Unless you're training for a marathon, your body doesn't get all that dirty, especially in the winter," says Dr. Tanzi. Using a gentle fragrance- and soap-free body wash with shea or cocoa butter, like Olay Ultra Moisture Body Wash ($6; target.com), cleanse only the areas that develop a smell every day: the underarms, groin, and feet—and back, if yours gets really sweaty. Did we mention it's cold out? Slapping on a little extra moisturizer isn't going to cut it. You need the most effective formulas, and they usually contain one or both of the following ingredients: hyaluronic acid and ceramides. Derms love hyaluronic acid because it attracts water to the skin for a plumping effect, while ceramides balance hydration and protect against moisture loss in the future. Layering products in the right order can maximize hydration. Apply a lightweight hyaluronic acid gel or serum first, then a ceramide-rich face cream on top, says Dr. Tanzi. Vichy Aqualia Thermal Mineral Water Gel ($31; amazon.com) and La Roche-Posay Toleriane Double Repair Moisturizer ($20; amazon.com) are some of our favorites. To quench thirsty arms and legs, you don't necessarily have to dip your hands into a jar of cream. "Lotions can be just as effective as creams," says Miami-based dermatologist S. Manjula Jegasothy, MD. "It's more about the ingredients." Scan the bottle for hydrating superstars like skin-repairing ceramides, hyaluronic acid, or shea butter, which is rich in antioxidants and has a luxurious, buttery feel. Eos Extra-Dry Vanilla Orchid Body Lotion ($6; walmart.com) is particularly great. The key to long-lasting hydration is working fast: You have about a five-minute window post-shower to slap on moisturizer before your skin starts to lose moisture. Keeping the bathroom door closed—to maintain humidity—gently pat away excess drops, then immediately smooth on product while skin is still slightly damp. "This traps moisture from your shower and any humectants in your moisturizer, and helps it spread better, too," explains Dr. Jegasothy. There are many ways to get a smooth, radiant complexion, but scraping your face with harsh fruit pits and other abrasives shouldn't be among them. Pick a scrub made with mild fruit or vegetable enzymes, since they dissolve and buff away buildup gently. Not all enzymes are the same, notes Dr. Jegasothy: "Enzymes in summer vegetables, like cucumber and papaya, are great for summer, but for winter, stick with those found in milder winter root vegetables, like pumpkin or squash." Peter Thomas Roth Pumpkin Enzyme Mask ($58; sephora.com) is a good one to reach for in the colder months. If you skip exfoliating, dead skin cells pile up, leaving your face dull and scaly and preventing your moisturizer from penetrating properly. But if you OD on it, your complexion can get red, irritated, and drier (yes, really). So how do you know whether you're exfoliating too often? "If your face stings or burns after you put on your moisturizer, you need to dial down the frequency," says Dr. Bowe. That means once or twice a week, tops—even gentle formulas can backfire if you use them too much. "I'm not a fan of loofahs or buff puffs—they create microtears in skin, which makes inflammation and dryness worse," says Dr. Bowe. Instead, opt for a sugar-based scrub—it exfoliates gently, so it's nearly impossible to overuse. Plus, it's easy to whip up at home. Dr. Bowe's DIY recipe: Mix 1/2 cup of brown sugar with 1/2 cup of almond oil; smooth it over your body in the shower every three days. More ways to help your skin survive the season. Pop a probiotic supplement daily. Or gulp down foods and drinks that are naturally rich in gut-friendly bacteria, such as yogurt, miso, and kombucha. Ingesting good bacteria can restore a healthy balance in the gut, decreasing inflammation and warding off dryness, says Dr. Bowe. Use a sheet mask weekly. Sheet masks make for fun selfies—and do wonders for a dry complexion, too. "When you apply a sheet mask against the skin, it provides a literal barrier against water evaporation, so it really seals all that moisture into the skin," says Dr. Jegasothy. Plug in a humidifier. It's the best way to put moisture back into the air and, ultimately, your skin. "You might as well throw all your creams away if you're not using a humidifier in your bedroom every night in the winter," says Dr. Tanzi. The ideal humidity level is 30 to 45 percent (going above 50 percent can lead to mold growth); some models shut off once they reach the target. Here are a few not-so-obvious reasons why your skin might feel tight and itchy. Retinol: This wrinkle-fighting ingredient can have some annoying side effects, including irritation and flaking. "Cut back frequency from every day to every other day," says Dr. Tanzi. Skipping sunscreen: UV rays can interfere with skin-barrier function, preventing skin from holding on to moisture. Bottom line: Use a broad-spectrum sunscreen with SPF 30 year-round. Boozy beverages: Drink up—water, that is. Alcohol forces water out of the body and makes it harder to rehydrate, says Dr. Bowe. So have a tall glass of H2O between cocktails. Chapped lips? Swipe on a waxy balm. It sounds straightforward, but try not to smear it all over your mouth. "The area where lips meet the skin, called the vermilion border, has lots of tiny hairs, and it's very pimple-prone," says S. Manjula Jegasothy, MD, a dermatologist in Miami. For your hands, it's all about a two-pronged approach. For day, use a cream with the usual hydrating suspects: hyaluronic acid and ceramides. At night, layer an occlusive ointment with petrolatum or mineral oil on top. "Occlusives tend to be greasy but are the best way to boost absorption, since moisture can't escape the skin," explains Neal Schultz, MD, a dermatologist in New York City.